National management organisations (NMOs) are increasingly finding ways to diversify and, to some extent, revamp their business models to remain relevant and adapt to the changing demands. With training and education being one of their key functions, NMOs are faced with the current overwhelming increase of other training providers in the global market — resulting in supply outweighing demand. “This is even more so with technological development, which allows providers from all over the world to connect with consumers worldwide,” Malaysian Institute of Management (MIM) CEO Sivanganam Rajaretnan told The Malaysian Reserve in an email interview. While there is a growing number of training providers in the country, indications by industry sources reveal that the take-up for training programmes by corporate companies has been slow, particularly during the economic slowdown. 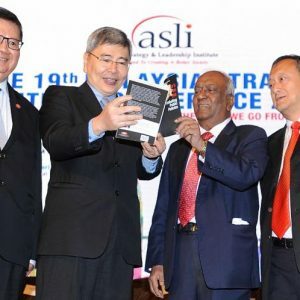 However, this challenge has presented an opportunity to the Asian Association of Management Organisations (AAMO) to become a conduit for further communication and collaboration among the NMO members throughout the years. “This also provides fertile ground to plant new business ideas and initiatives for NMOs to implement,” he said, adding that such communication open the doors for collaborations among NMOs. In October 2016, MIM took on the presidency of AAMO for the third time, taking over the role from the Australian Institute of Management (AIM). With this, MIM will hold the presidency and secretariat office until 2019, while MIM chairman Datuk Ng Tieh Chuan assumes the role of AAMO’s current president. AAMO has been running programmes through its NMOs such as Young Manager’s Programme and Asian Management Games in Macau, which encourages participation across the Asia-Pacific region. AAMO brought to the fore various regional researches on management and leadership. For one, the management capability index (MCI) was introduced. The MCI provides business leaders in the region with an opportunity to assess their management capability across a range of areas to benchmark performance against like organisations. Public can access the published results. AAMO also organises regional AAMO conferences, which aims to bring together the region’s business minds. Much has changed compared to management 30 years ago. In today’s management landscape, one can witness a significant increase of women’s involvement. Hence, a lot of focus is given towards developing programmes aimed at empowering women in the workplace. “Simultaneously, we are seeing a new generation emerge in the workplace with a new work ethos and a totally different set of values, and we stand on the precipice of one generation coming in at the front line while another generation leads at the top level,” he said. Inter-generation cooperat ion at work has become a hot topic as well, formed part of the content being discussed by NMOs with the public. Sivanganam notes that the demand for work to be done faster and instantly is evident, as technology grows exponentially and management has had to now serve both people and the demands of technology. “NMOs have had to play catch-up with the tech takeover, and now utilise social media to reach out to managers, knowledge information systems, Linked-in and much more,” he said. As an NMO member, he described this an exciting time for change and learning is unfolding for MIM. “We have leveraged on technological growth to introduce a new online platform for knowledge such as MIM Direct, providing not just information but interactive tools for learning — just a click away. The services span across providing access to traditional e-journals and articles to members being able to participate in and view interactive scenarios and leader videos,” he said. NMOs now constantly develop new methods to connect to the professionals they cater for, and are striving to give these professionals all the relevant information at their fingertips. Today, technology allows for easier and faster access information. The incoming generations of managers were born into the technological era. They expect quick results and information convertible onto a digital platform. 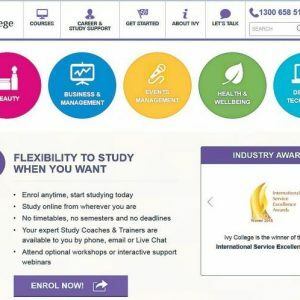 So, on one hand, there is a move away from traditional learning methods within the classroom and streamline training through online platforms. Yet, despite these measured assumptions about the new generation and technology, they still seek personal learning experiences with face-to-face communication. Hence, a fine balance has to be struck when delivering training. AAMO also strives to encourage knowledge sharing through engagement events and conferences that will allow tapping into a wider pool of personas for our NMOs to gain insights from. Sivanganam said AAMO has also adapted to the growing needs of engaging directly with the public through digitised bite-sized information as opposed to lengthy articles, unless working on a research paper. This includes making all information available online. Towards this end, AAMO has an e-paper “Leading the Way” with bitesized articles and information from all over the region. AAMO’s training programmes, he said, have also taken on a more experiential learning approach. One example is the Asian Management Games, an interactive, simulation-based programme of real world business scenarios and issues. Here, participants have to navigate through as CEO and financial controllers in order to win. Sivanganam added that AAMO member organisations can look forward to AAMO’s key role being expanded. These include being a catalyst for the change that is to take place among NMOs to keep up with the new management styles and training, facilitate a forum for open discussion among members and create an ideation space for NMO members. In future, AAMO also aims to encourage NMOs in providing truly global services through collaboration, while the organisation will serve as a resource pool for research and information on management and leadership within the region.  They hope to create awareness on the importance and value of continuous learning and development on the ever-evolving skills required for effective management and leadership, and promote a benchmark of quality standards for NMOs within the region. Asked on MIM undertaking the AAMO presidency, Sivanganam expressed: “MIM is not only prepared, but also poised in the perfect position to take on the presidency of AAMO”. Citing Malaysia’s constant hunger for growth and preparedness to innovative changes, he is confident that the Malaysian team will be a huge driving force to propagate the growth of AAMO in terms of relevance and contribution. “MIM plans to inject life and excitement into the efforts of AAMO, by showcasing its relevance and in turn raising the esteem of Malaysia as a nation in the eyes of global managers and leaders. “We have been strategising on the most effective means of reaching out through AAMO, and understanding how AAMO’s role fits into the grand scheme of things. MIM as an organisation is expanding its focus, not only to catering for managers and leaders within Malaysia, instead we cater for managers and leaders regardless of geographical location,” he said. 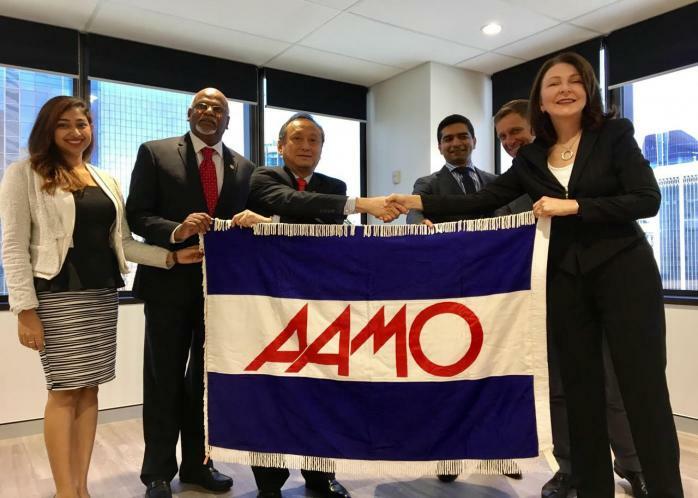 He said MIM’s successful international business connections allow MIM to connect easily with other NMOs within the Asia-Pacific region, hence providing the right platform to promote recruitment for NMOs to join the fold of the AAMO partnership. “MIM takes its role very seriously, which is why we have even hired personnel tasked solely not only with the administrative work of AAMO, but also to market and brand AAMO and take it to the next level,” he said, adding that Ng, as AAMO president plays a pivotal role towards this end in realising this aspiration. MIM also believes in getting public feedback to gauge the perception of the community towards AAMO, and will make use of the various technological tools at its disposal. “Because we are also a membership body, we can use our contact base to understand the needs of the community and constantly engage with managers and leaders in order to lead AAMO through being a valuable regional organisation,” Sivanganam added. MIM engages constantly with the region, through its international market, activities and cross collaborations, enabling them to gauge the international community’s insights into management in the region that will help AAMO in its efforts.